A collection of historical and contemporary photographs relating to the Chicago and NorthWestern (C&NW) Railway facility in Chadron, Nebraska, including the May 2018 visit to Chadron by members of the C&NW Historical Society as part of thei 2018 convention in Rapid City, South Dakota. You may click on the selected larger photo at right to see an even larger image. Or you can click the pointer at right to enjoy a slide show. Captions are included......but remain a work in progress! 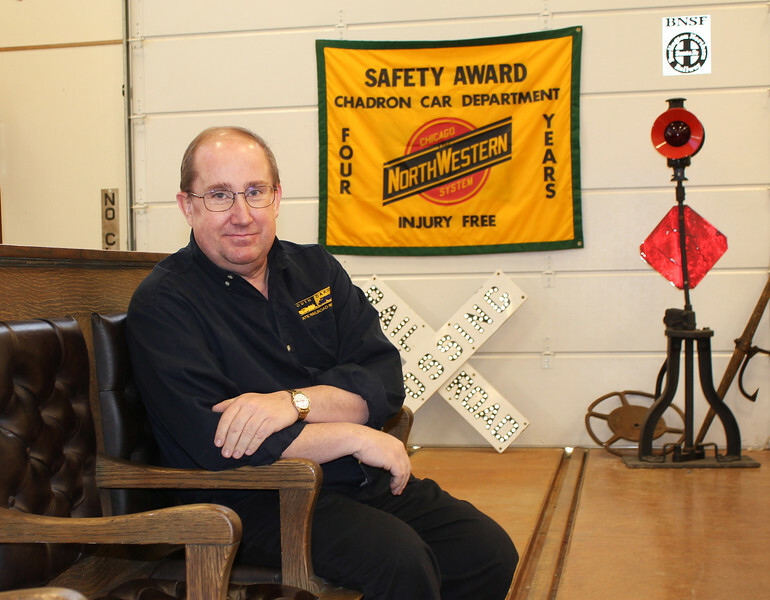 Rick lives in Hermosa, South Dakota, and is Museum Curator for the Railroad Museum of South Dakota, located in Hill City. He served as Chairman of the 2018 Chicago & NorthWestern Historical Society meeting in Rapid City, South Dakota, May 17-19, 2018. The group visited Chadron on Friday morning, May 18th to tour the old C&NW roundhouse, followed by lunch and then a visit to the Dawes County Museum south of Chadron.